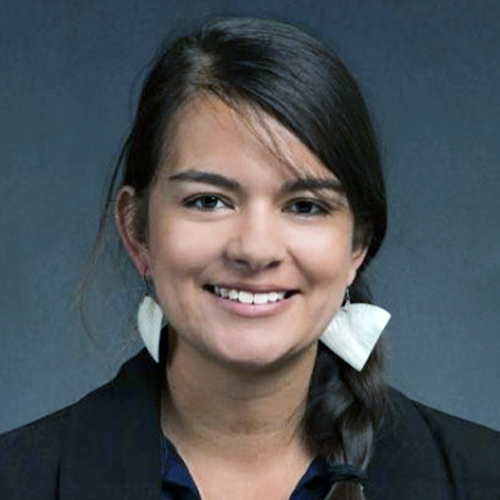 Lauren van Schilfgaarde teaches the Tribal Legal Development Clinic at UCLA School of Law. She is currently Tribal Law Specialist at the Tribal Law and Policy Institute in West Hollywood where she is Project Manager for Tribal Healing to Wellness Courts Training and Technical Assistance. van Schilfgaarde works with tribal justice systems to expand their criminal and civil capacities. Previously, van Schilfgaarde was a law clerk at Native American Rights Fund and Legal Aid Foundation of Los Angeles. She was also a Public Interest Fellow at American Civil Liberties Union of Colorado. van Schilfgaarde received her B.A. from Colorado College and her J.D. from UCLA School of Law.